Organising a wedding that’s peaceful, fun, and distraction-free has never been easier with Moondyne Country Convention Centre, an exclusive function venue situated an hour away from the Perth CBD in Chittering Valley among wild flowers and green hills. Established 1992, Moondyne boasts multiple facilities, all of which make your wedding a memorable one. The outdoor kitchen is one of Moondyne’s newest facilities, one that groups can use if they prefer to self-cater during the entire length of their stay. Features a hooded BBQ, wok burner and teppanyaki plate, gas cooker and oven for a pizza or a special meal, a microwave oven, freezer, and an open bar. The conference room is a notable and well-known facility in Moondyne owing to its features, which include 40 cushions and chairs, large screen television, slow-combustion fire, a projector and screen and large verandah with amazing views and outdoor furniture. 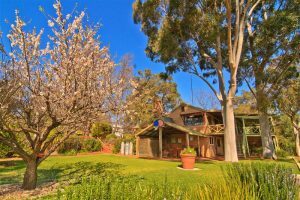 Moondyne also takes pride in its many country style cottages and chalets, all of which are perfect for private functions and group bookings. There is a cottage and chalet for every possible group size, all in the heart of Avon Valley National Park. The homestead doesn’t have any accommodation but is the hub of chalet accommodation providing a dining room, recreation room, and lounge. This split-level structure boasts only of amazing views all over the national park, making it the best setting for lunch. During winter, guests can relax next to the open fire, or in summer, dip in the swimming pool. The homestead also features an undercover patio, games room, drinks fridge, TV, jukebox, karaoke equipment, and an outdoor kitchen. During your stay, you can do one of many activities and check out a number of different attractions. 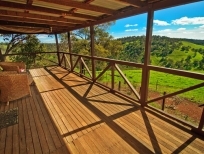 Some things you can do include bushwalking, canoeing, horse riding, catered picnics, and four-wheel driving. A few attractions in the open country itself include massive rock formations, the white knuckle track, the various fauna and flora, the magnificent waterfalls, and the little hidden valley. Moondyne Country Convention Centre is the perfect place to hold an elegant country style wedding. It is situated amongst Avon Valley National Park’s rolling hills, overlooking the Avon River and you can have all the grounds and facilities to yourselves for a truly memorable wedding day.